Landing Page Testing is vital to increasing conversions. But what does a company have to do to its landing pages in order to test those pages effectively? What is important to know and think about when testing the effective nature of a website’s landing pages? Allow Webrageous Studios to reveal all, sharing some of its hard-earned experience through the ideas listed in this particular article on landing page testing. We suggest that you try the following Landing Page Testing ideas and that you continue to do so on a regular basis to achieve maximum results from your efforts. Remember, Landing Page Testing must be a continual task; an ongoing focus which can only become better over time due to the sheer fact that it is a process that, by its very nature, is never ending. Do your landing pages include Calls to Action? Do your Pay Per Click Advertisements include the same or similar Calls to Action that are included on your website landing pages? It is always a good idea to have matching meta titles, tags and descriptions, as well as having URLs and landing page contents that matches too. If you have a Call to Action in the Advertisement, use that Call to Action on the landing page that matches it. You need to use imperative verbs on your landing pages: Find out, Learn, Buy, Get, Download, Sign-up, etc. You need to give your target audience a task to complete; an order to comply with. Without a task to complete, potential customers have to make decisions to convert all by themselves. Help them out. Tell them what to do and you’ll be more likely to see more people converting thanks to your landing page designs. Do You Need Some Landing Page Testing Ideas? Simple changes like this could make all the difference to your online sales, but you won’t know until you start testing and you try things out. Landing Page Testing success is all about experimenting and trying things out. What about long headlines vs. short headlines? If you haven’t tested out the differences between these two types of headlines, do so from today. The changes we are suggesting are small, but the positive effects they could have on your conversions could be huge. For instance, which of the following two headlines would work better for your particular business? Maybe your company has a lot of benefits and promotions in place ready to offer to both existing and potential customers. The question is whether your landing pages are making the most out of these benefits and promotions and whether you are drawing attention to the benefits and promotions that convert the most. How are you going to find out? You have to test, test and test again! * Try creating individual landing pages for each one of your promotions in turn. * Then try placing three promotions on the same landing page, perhaps in a bullet point layout. * Then perhaps try a landing page with a list of all your promotions which link to separate and more detailed pages on each promotion in turn. 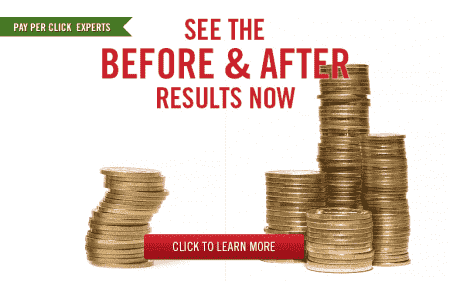 You may even realize that there are some promotions that you haven’t advertised at all on your landing pages so far. Try them out. Test them. Maybe they’ll turn out to be your best converters ever! How long should a landing page be? Is there a standard length that works for everyone, for every business and for every website? Of course not. Do your customers like lots of detail and lots of content? Do they enjoy reading through all the facts and more thoroughly before they convert or do their attention spans fail to keep them interested beyond 10 seconds? How will you know the answers to these questions? You will need to test, test and test again! Yes. The general theme here is about understanding that landing pages and websites are living organisms and that they are only individual parts of an entire advertising campaign. Landing pages and websites need to change and develop just as all other living organisms do. Work with this quality and embrace it at all times. Do you need to focus on price on your landing pages or not? Are people interested in how much your products or services cost or not? Is this the factor that drives your potential customer towards a conversion or not? …but it might not be an idea about pricing that would generate conversions for a U.S. Law Firm appealing to new clients who have recently suffered a personal injury in the workplace or in a road accident, for instance. In general, people who are looking for lawyers on the Internet are not driven by price. They are driven by results, expertise and client care. Naturally there are many other areas concerning Landing Page Testing that could be focused on in this article today, but the five ideas that we have covered above are easy to begin implementing immediately and they can be fun ways in which to experiment with your landing pages and website design/focus too. Any more questions on landing pages and landing page testing… contact Webrageous Studios directly. We’ll get your landing pages converting for you.